For those who use credit cards regularly for everyday purchases and have reasonably good credit reward credit cards can be a great way to go. These are designed for those people who use credit cards, are going to anyway, so may as well get something out of it. There are several different types of credit cards and there is a proper way to go about using them. There are also a few pitfalls to using them if they are done incorrectly. So, while reward credit cards can be highly valuable, be aware of the issues that may arise from using them so as to avoid any problems. One of the most popular forms of reward credit cards is the cash back option. What this means is that you get a percentage back on what you purchase. The way it works is that merchants pay the credit card company a commission of their sales for the ability to accept the credit card in the first place. A portion of this percentage that is collected by the credit card company is then given back to you as a reward. Before deciding on cash back credit cards, though, make sure you understand how much of a percentage you will get back, how long you will receive cash back rewards and if there are any restrictions. There are some cash back reward cards that give a higher cash back percentage for a limited time only. For example, some credit cards may entice new customers by offering a 5% cash back but it is only available for the first 6 months. After that you are dropped down to a 1% cash back offer, a percentage more in line with what you will typically find with reward credit cards. There are also restrictions on some purchases. For example, certain items may be exempt from eligibility toward cash back. Before opting for a cash back credit card make sure you understand and agree with all the specific terms and conditions. There are also travel credit cards that are available. These work similarly to cash back reward credit cards except instead of receiving cash, you accumulate points. These points can then be cashed in for travel expenses such as air fare, hotel stays, rental cars, alternate transportation and even some tourist activities. For those who are saving for a vacation, this could be an ideal way to accumulate points. However, as with any special offer, travel credit cards have some special restrictions and possible limits you should be aware of. If you want to use your travel reward cards on something specific, make sure your reward points will count toward this. Some travel cards are god toward a limited number of destinations and specific activities. For example, you may have a travel reward credit card that is tied to a specific airline and you can only use that airline with your travel points. This may limit your destination options. Or, you may only be able to stay in a particular chain of hotels across the country or around the world. Another things to look out for with travel credit cards is black out days. There may be specific days you are unable to redeem your points for – typically peak season travel days. So, if you had your heart set on that mid summer vacation to Hawaii with your points, make sure you have the option of travelling when you wish. The first thing you need to do in order to determine the best credit cards is to determine your needs and analyze your spending habits. You want to get the most benefit out of your spending and you want to use your rewards for items you need or want. Make sure to take your time and shop around at various reward credit cards to compare the benefits you will receive from each one. There is no one perfect reward card out there. Instead, there are perfect credit cards for you. Only you know what you purchase and what you will do with rewards so as long as you compare several and make a realistic decision, you should be able to reap all the benefits from having reward credit cards. One of the common issues with using reward cards is that some people do not look beyond the particular rewards that are based on spending. As with any other credit card you should also make sure you have a low interest rate, good terms and a reasonable credit limit. If you have a great rewards program but a high interest rate, you may not be getting ahead if you carry over a balance. In such cases, it may be cheaper to buy whatever rewards you were getting with the money saved in payments from a lower interest rate. 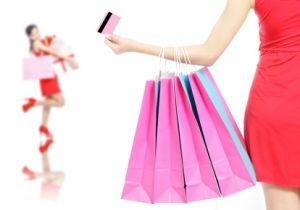 Another common mistake people make with reward cards is overspending. They decide that instead of using cash for items they would typically use cash for, they will use the credit card and pay it off at the end of the month. This way, they will receive more from the reward credit cards. This could be a viable option if worked properly. Unfortunately, though, many people now have extra cash in their pocket and use it for other things instead of paying the credit card. This defeats the purpose and all it manages to do is increase your spending habits as opposed to increasing your benefits. Reward credit cards can be very appealing and quite useful if used properly. You have to use a credit card for some purchases, why not use reward credit cards and receive something back for your spending. As long as you do not buy into getting credit cards that would otherwise be unacceptable or increase your spending habits to where making payments become difficult reward credit cards are a great option.